Delusional – Why am I hosting a jewelry party? For the snacks! 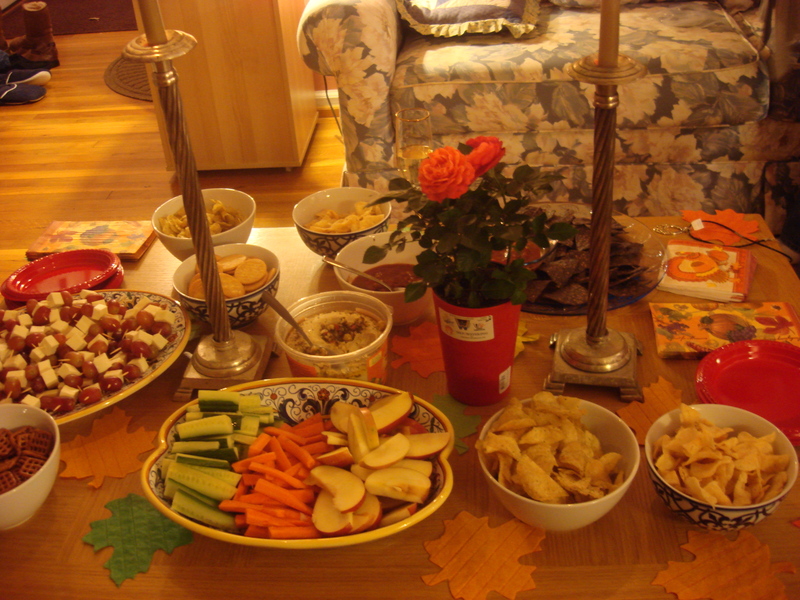 I decided to host a jewelry party at home, with the help of my mom, on the eve of Veteran’s Day since I and most of my friends had the next day off. Super. Then my parents scheduled a trip and wouldn’t be around. Not-so-super. Then the day actually came. Oh…sugar. 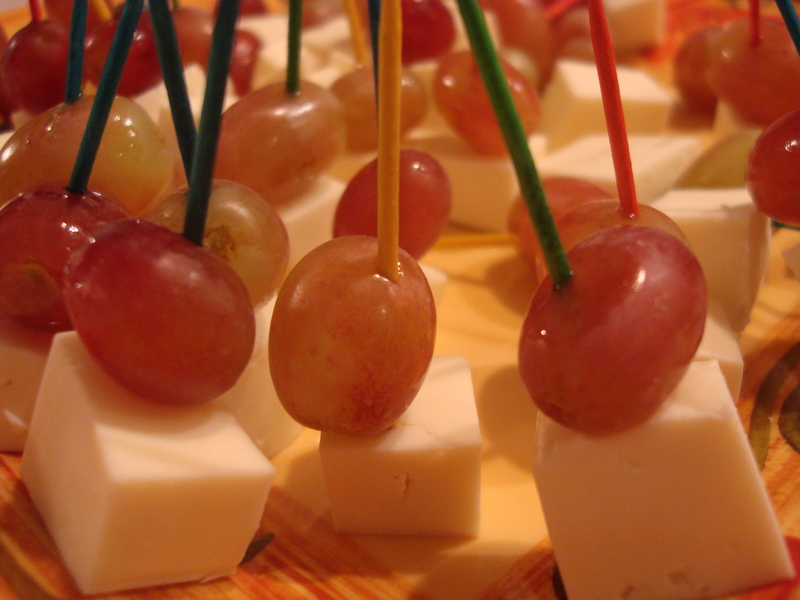 All you need is cheese, grapes, toothpicks and a knife. Really. Here’s your clever answer when someone wants to know where the idea came from (after you mention Hot, Cheap & Easy, of course). Spain’s classic fruit and cheese combo of Manchego sheep cheese and membrillo (quince) is probably what inspires New World Latinos to try other pairings of fruit with local cheeses. Caribbean white cheese – sort of like firm mozzarella with more salt and muscle – goes unbelieveably well with tart-sweet red grapes. But to convince your guests to pop both in their mouths at the same time, skewer each block of cheese with a single grape and force the flavor explosion. Cut cheese into 1/2 inch square blocks. Skewer each block with a red grape. Arrange artfully on a tray. Enjoy the expressions of startled pleasure on faces. Addendum: Amanda reports that she took it a step further and shredded parmesan cheese on a foil covered baking sheet at 300 or so, until browned and crisp. She then put the skewers on it for an edible (and therefore disposable) tray for her potluck. ¡Gracias amiga!